Our Basic TEFL course offers you the same award winning, internationally-recognized TEFL certification in the same classroom as our Premium program. However the Basic allows you to customize your experience by letting you add items that are important to you, both allowing you to stick to a budget and only pay for the items you need during your training. Our Basic TEFL course is probably the best priced full 140 hour in-class course on the market today that is both award winning and recognized worldwide. 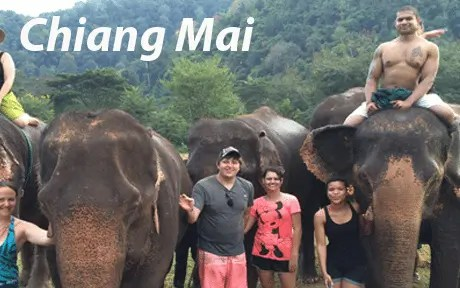 This course is popular with participants that have already been to Thailand or have lots of travel experience that would rather source their own accommodation, trips, and find their own jobs as they just need the expert training that our course provides. Who is the Basic TEFL Course for? The Basic TEFL course is for anyone! But you’ll find it especially useful if you lots of travel experience or currently living in Thailand and want the flexibility to choose which options are most important to you or simply don’t choose any add-ons and decide later. 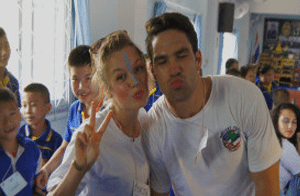 You want to create your own experience your TEFL course and do your own thing. 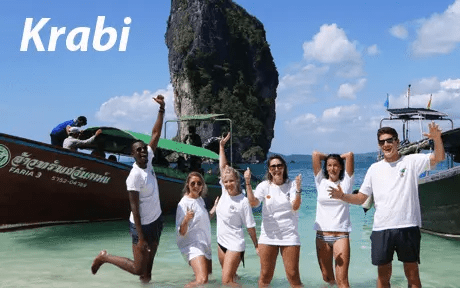 If you are on a limited budget and just need a really good course to give you the tools and confidence to start earning an income in Thailand as a teacher, then this is possibility the best way to go. We can help point you in the right direction towards cheaper accommodation, motorbike rental and will still be with you every step of the way. Our teacher training course was awarded “The Best TEFL Provider in Thailand” by the Thai Ministry of Education during the 2016 Thailand Educational awards as well as a host of other educational awards, so if you’re looking for “the best training possible” then this course is for you. Moving to a new country can be a bit daunting especially for a first time traveler so our in-country orientation gives you a valuable insight the Thai cultural differences, Thai language essentials, recap to full explanations on the visa process, and work permits, how it all works. Our TEFL training certificate is truly internationally recognized as we physically have our graduates currently working around the globe. Our certificate not only holds international accreditation, but also certified by the Thai Ministry of Foreign Affairs making it accepted by any school or agency worldwide. The highlight for each class is their three full days of observed teaching practice in real schools to real students of English as a second language. These are full days of teaching a variety of subjects and levels under the observation of our trainers. The volunteer certificate is a collaboration of the three days you spent at the school volunteering your time as well as gaining valuable hands-on teaching experience. This is a real volunteer certificate given by the local school district or school director. Along with your training material, we provide you with needed teaching equipment and simple essentials during class so you don’t need to bring them yourself like; a note book, pens, white board markers, t-shirt, a bag to put it all in and so much more during your training course. Once you enroll, you will gain access to the student portal filled with in class teaching resources, then once you are physically in class you’ll have much more access to even the Thai National Curriculum. The LMS system is used in conjunction with our in class sessions to give you all the resources you need. The English Camp is given on the last day of at the school to conclude our teaching practice and observation. This is a fun informal day filled with games to get them thinking and speaking in English as they run around collecting prizes. You will have one in-class Thai language lesson which will primarily work on your Thai Phonics and pronunciation skills with seasoned professional Thai instructors that we have come to our training center to teach our entire class. Our service starts to the moment you contact us and continues through your teaching careers. As an alumnus you will always have access to our student portal for teaching materials, production ideas, and your student records such as your transcripts and TEFL Certificate. When and where is this Course being offered? We have a new class starting on the FIRST Monday of every month, so simply just let us know when you would like to attend. Courses are held year around in Chiang Mai, however in Krabi they are only held four times a year (April, May, October and November). 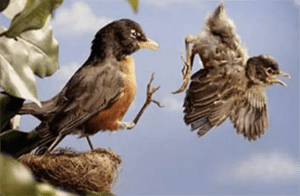 Enroll for the Basic Course? Currency conversions are estimated and for informational purposes only. Looking for an All Inclusive Program? $100.00 discount for each buddy traveling together. Teach and travel with your buddy.